Dreaming of owning your own studio? 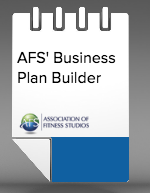 Business Plans can range anywhere from a few pages to countless. No matter which direction you go, this 30-page Business Plan template is where the dream-to-reality process begins by allowing you to develop your business “on paper,” creating a living document you can show to potential partners and investors. Learn how to develop everything shown below!